A whopping 58 per cent of all food produced in Canada – 35.5 million tonnes – is lost or wasted, according to a new report, and about a third of that wasted food could be “rescued” and sent to communities in need across the country. A whopping 58 per cent of all food produced in Canada — 35.5 million tonnes — is lost or wasted, according to a new report, and about a third of that wasted food could be "rescued" and sent to communities in need across the country. The report, entitled "The Avoidable Crisis of Food Waste," was released Thursday morning by Second Harvest, a Toronto agency that collects surplus food throughout the supply chain and distributes it to agencies ranging from shelters and drop-in centres to breakfast programs and summer camps. According to the research, some 4.82 million tonnes of food, or nearly $21 billion worth, is lost or wasted during the processing and manufacturing process. Some 2.38 million tonnes of food, or more than $10 billion worth, is lost at the consumer level. In total, the value of all food that is lost or wasted in Canada is a staggering $49 billion, the report says. 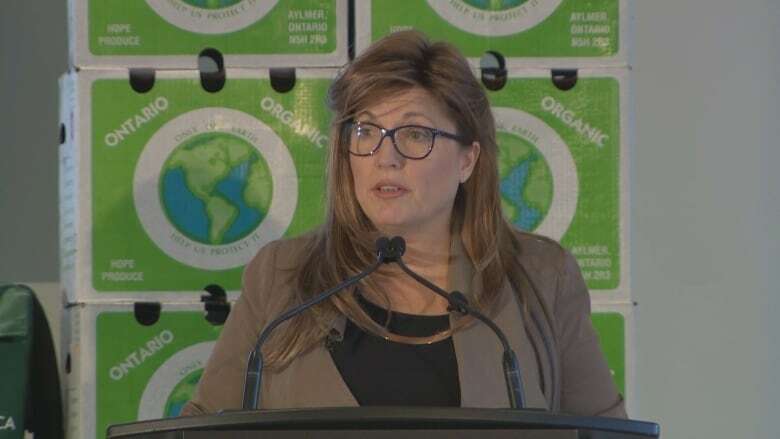 The amount of food is enough to feed every Canadian for five months, Second Harvest CEO Lori Nikkel told reporters on Thursday. The annual cost of avoidable food loss and waste in Canada is $1,766 per household. 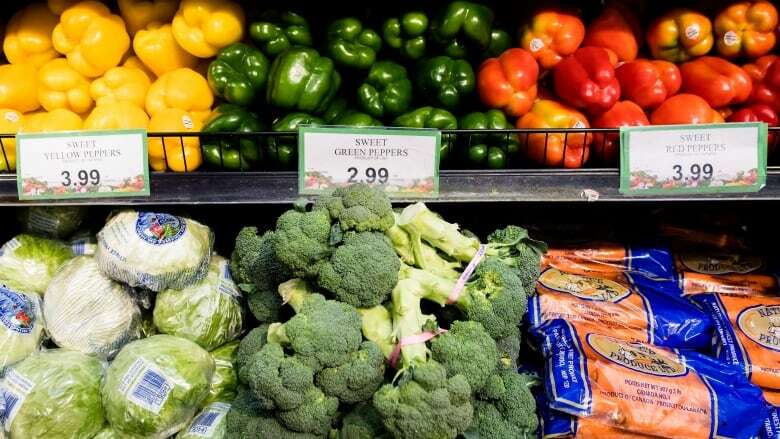 "The outcomes of this report make it very clear that we need to radically change how we as Canadians value food," Nikkel said during a news conference. "The abundance of food we produce has led us to dismiss its intrinsic value." And the waste comes with environmental impacts. Each year, food waste in Canada creates some 56.6 million tonnes of carbon dioxide-equivalent emissions, according to the report. Food in landfills also creates methane gas, which is "25 times more damaging to the environment than carbon dioxide," the report says. "All of us — from farmers to manufacturers, from producers to distributors, from stores to homes — need to rethink how we view excess food and change our habits, so that people can benefit and an environmental crisis can be avoided," the report warns. According to the research, there are two types of food loss and waste: avoidable, which occurs when produce, for example, makes it to market but is not purchased; and unavoidable, such as when inedible food by-products, like animal bones, are discarded. Second Harvest dubs the research as a "world first" because it measures weight using "a standardized system across the whole food value chain," and includes all food types from both land and water. It also includes primary data from across the supply chain, among other features. Consumers buying food at the grocery store, particularly when there's a sale, and throwing the surplus away. Consumers and retailers throwing out food near or past its best-before date, despite the fact product dating practices "have no correlation to food safety" and the food can often still be eaten or donated. Produce being left to rot in the field due to labour shortages, or low prices creating an environment in which it is no longer worth it for farmers to harvest. Thousands of acres of produce being "plowed under" due to cancelled orders. Fish being caught and tossed back into the water to die if they don't match a quota. For its research, Second Harvest partnered with Value Chain Management International (VCMI) and consulted more than 700 food industry experts. The report includes three "approaches" to reducing food loss and waste and getting some help to the four million Canadians, including 1.4 million kids, who struggle to access healthy food. Under those banners are dozens of recommendations for industry and government aimed at preventing food loss and waste at the source, improving the redistribution and donation of edible food and managing waste when it does occur. Nikkel and Martin Gooch, CEO of VCMI, both said a big barrier to reducing food loss and waste is the "stigma" associated with feeding people with diverted food. "We must demystify food which can be rescued from businesses and not call it waste," Nikkel said. "This is unsold, this is surplus, this is excess food. It is perfectly edible." A key barrier to food diversion (or donation) is confusion about best-before dates, she said, "and the perception that that means 'bad after.' It doesn't." Only five foods expire and should not be eaten after a best-before date, she said, including meal replacements, such as Boost, baby formula, protein bars and a couple of prescriptions. Otherwise, those dates identify the "key freshness" of a product, not its safety, and the dates are often very conservative. "Nothing happens at the stroke of midnight on a best-before date," she said. The report calls for imminent change at the industry and government levels. To that end, Nikkel and Gooch said they will be attending a meeting with federal government officials soon to present the findings and recommendations.